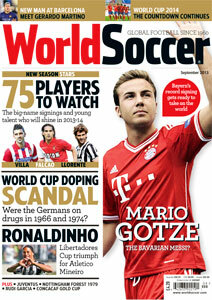 Special report on doping in German football. 75 players to watch this season. Interviews with Rudi Garcia and Safet Susic. A bumpy ride for Guardiola at Bayern. 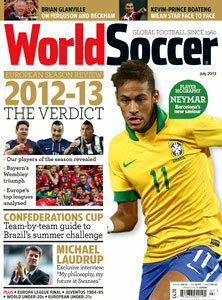 The Summer issue of World Soccer will go on sale on August 23, 2013. The issue will be on sale in the UK until September 19, 2013.